Chinese President Xi Jinping called on global leaders to resist trade protectionism and maintain openness in a bid to pursue a fair, open and inclusive world economy and improve people’s livelihood across the world. 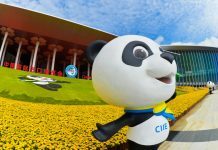 Xi made the remarks at the opening ceremony of the China International Import Expo (CIIE) on Monday in the country’s financial hub Shanghai. Leaders from countries including Russia, Hungary, the Czech Republic, Pakistan, Kenya, Egypt, Vietnam, Cuba and the Dominican Republic as well as chiefs of the International Monetary Fund (IMF) and the World Trade Organization (WTO) also attended the event. Xi stressed that countries should put up against protectionism and unilateralism to build a more connected, fair, transparent and inclusive world economy. He also emphasized that innovation is the strongest driving force of the global economy. Countries should pursue an innovation-driven strategy and take the opportunity of the technology revolution and promote digital economy, artificial intelligence and nanotechnology. Xi also called on countries to overcome differences and work on reducing imbalances in global growth. He said countries should work together to realize the UN 2030 Agenda for Sustainable Development so that people can share the benefits of globalization and global growth.